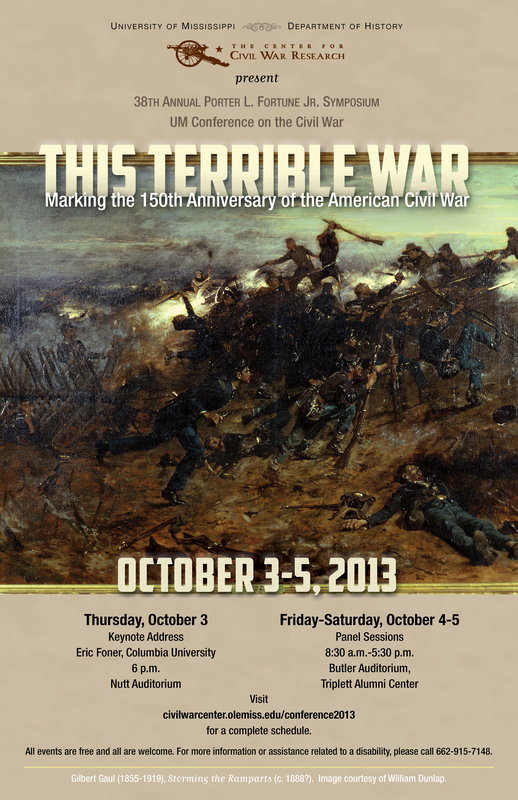 The Center for Civil War Research held its latest Conference on the Civil War October 3-5, 2013. This was the Center's seventh academic conference and was presented in conjunction with the Department of History's Porter Fortune Jr. Symposium. The theme of this most recent conference was "This Terrible War," harkening to Abraham Lincoln's Second Inaugural Address in 1865. 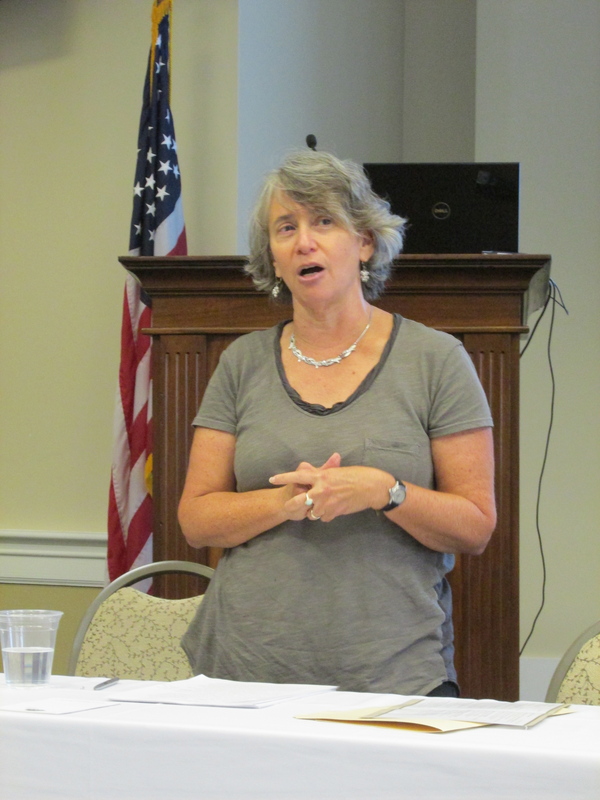 The conference encouraged scholars to probe the impact of the war in various arenas of life in the United States and the Confederacy. We were honored to have historian Eric Foner give the keynote addess for the conference. Dr. Foner is the DeWitt Clinton Professor of History at Columbia University in New York City. He is a prolific historian of the Civil War era who has examined a dizzying number of topics, such as Republican Party ideology, American slavery, President Abraham Lincoln, Emancipation, and the Reconstruction era. His latest work, The Fiery Trial: Abraham Lincoln and American Slavery (2010), garnered numerous awards and distinctions, among them the Bancroft Prize, the Pulitzer Prize for History, and the Lincoln Prize. Dr. Foner's keynote, entitled "The Emancipation of Abraham Lincoln," detailed the process by which Abraham Lincoln's views toward emancipation of enslaved African Americans transformed over the course of his political career. Although President Lincoln initially favored gradual, compensated emancipation and colonization for black slaves, the Civil War made apparent to Lincoln the moral imperative of full military emancipation. Dr. Foner's examination of Lincoln was a fitting start to the conference weekend. Our Director Dr. John Neff also presented the 2013 Wiley-Silver Prize to winner Dr. Glenn David Brasher for his work The Peninsula Campaign and the Necessity of Emancipation. The conference continued October 4th and 5th with panels spanning a host of topics, including the experience of enslaved African Americans, the activities of northern and southern women, civilian loyalty and dissent, the international response to the war, the numerical and financial costs of conflict, and the impact of military and political leadership. Among our panelists were such distinguished historians as Nina Silber (Boston University), Wendy Hamand Venet (Georgia State University), Jim Downs (Connecticut College), and J. David Hacker (University of Minnesota). We thank all of our panelists and visitors for a fantastic weekend of Civil War scholarship.